All spider species, even the ones that don't build webs, construct some kind of protective covering for their eggs, writes Dana Wilde. Late summer and fall are peak spider season, in case you haven’t noticed. The spiderlings that hatched in spring or midsummer have mostly grown up into mature adults and are busily making webs and taking their turn in their particular species’ reproductive cycle. Some spiders overwinter even here in Maine, but many don’t, so they carry on the line by wrapping up their eggs, which can vary by species from a few dozen to hundreds, in silk sacs, or cocoons, which lie dormant through the cold and then erupt with little spiderlings in May or June. All spider species, even the ones that don’t build webs, construct some kind of protective covering for their eggs. And a few spider species take care of their babies after they’ve hatched. 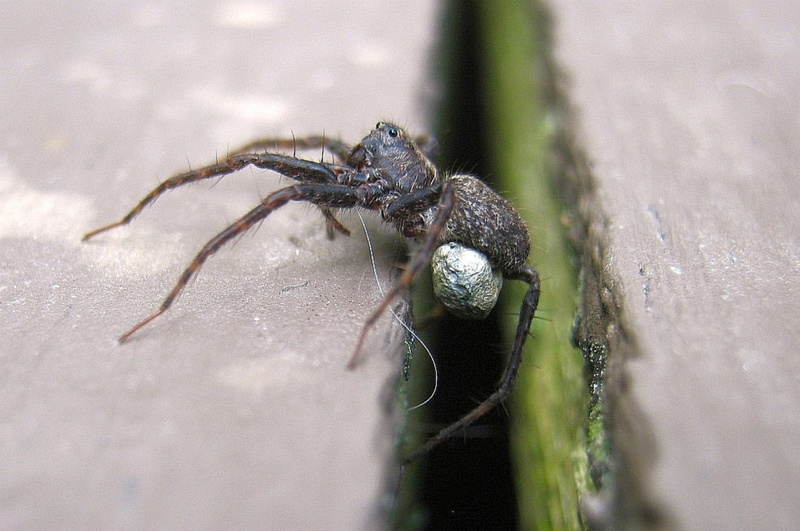 A wolf spider mother, for example, carries her spherical egg sac around in the spinnerets (which make silk) on her tail end. When she senses the spiderlings are ready to hatch, she tears open the rim of the sac with her mouth parts (or chelicerae) to help them out. The tiny babies scamper up onto her back and ride around safely for a couple of weeks until they’re big enough to start hunting bugs on their own. Interesting in this arrangement is the fact that, as far as the arachnologists can tell, there is no survival advantage to maternal care — studies show that wolf spiderlings that do not ride their mothers’ backs have as good a survival rate as those that do. Nursery web spider mothers, also found in Maine, carry their egg sacs in their chelicerae. When hatching time is near, the mother constructs a tentlike web in brush and suspends the sac inside. She then stands guard over the tent for several days while the spiderlings hatch and grow, and after their first molt, she leaves them to hunt on their own. 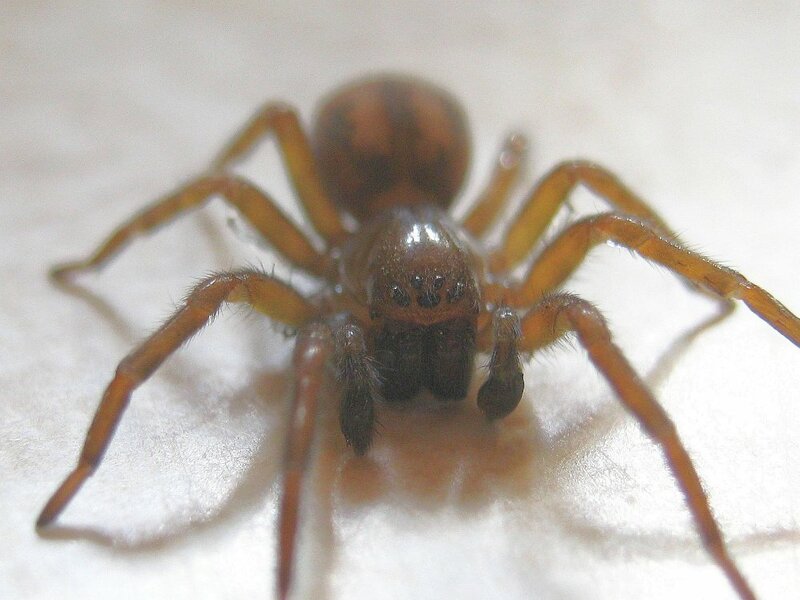 Some spiders even feed their young by capturing bugs and bringing them to the babies, or in some cases regurgitating food and actively feeding them. Some spider species lay a special supply of eggs, called trophic eggs, for the spiderlings to eat. A species of crab spider in Australia, Diaea ergandros, provides her offspring with captured prey, and studies indicate that, apparently uniquely among spiders, she recognizes her own children. And then, one more bizarre thing. D. ergandros also gives herself — the spiderlings eat her, an uncommon but nonetheless real practice among some spiders called matriphagy. Here in Maine we have one of these matriphagy-practicing species, Amaurobius ferox, a hackledmesh weaver. (Hackledmesh silk is produced by some spiders that have comblike organs to fashion nonsticky silk into threads made of thousands of lacelike tiny loops, which bugs get tangled up in.) Researchers in Europe found that A. ferox mothers build an egg sac and for about three weeks guard the roughly 100 incubating eggs. A day or two after the spiderlings hatch, she feeds them with a batch of trophic eggs she laid in preparation. With their mother closely watching over them, the spiderlings spend the next three or four days growing until they reach their first molt, in which they shed their outgrown external parts. Then, a day or two later, the mother lays down her life — they devour her in just a few hours. Afterward the spiderlings stay around the nest for three or four weeks, getting their meals from the hackledmesh web, and even cooperating in bringing back larger bugs for communal feasts, apparently. Then they disperse to seek their reproductive fortunes. They’re one of the species that overwinters even in Maine and are thought to live as long as two years. We see them on the kitchen counter pretty often here in Troy. The window over the sink is a veritable spider restaurant, and it’s (fairly) warm in winter — good reasons to stick around, I guess. I haven’t witnessed any matriphagy so far, but somehow, it works. The spiderlings’ survival rates, according to the experiments, were better in the long run for those who ate their mothers than for those who did not. Dana Wilde lives in Troy. 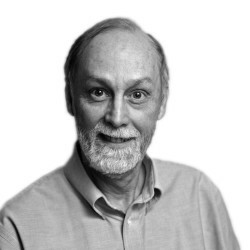 You can contact him at [email protected] His recent book is “Summer to Fall: Notes and Numina from the Maine Woods” available from North Country Press. 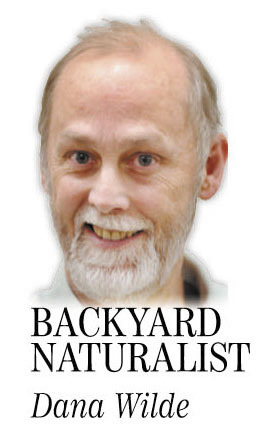 Backyard Naturalist appears the second and fourth Thursdays each month.